Your shoes as a lady are your appearance little pet,the way you keep and take care of them will be the way your appearance will look like. Using of shoe care materials maybe the ugly weapons and processes to use in shoe care,but the result are fare prettier than the protection they offer. 1. Always keep the surface of your shoes clean at all times,clean them before you go out and after you are back. 2. Polish your shoes with plenty of polish and allow them to sit with the polish on as long as possible. Ideally let the polish stay overnight. Make sure you get plenty of polish into the crack between the upper and the sole. (note):the polish am stating here is the caked polish which comes in a thing and not the liquid ones..you can only use the liquid ones to polish your shoes the moment you want to go out and not putting to stay overnight.. and when you back, always use a dry cloth to wipe the surfaces of your shoes. 4. Take off the excess polish with a brush or cloth and shine them up. 6. If your shoes do get wet,put shoe trees or newspapers if you don't have trees. Let them dry at a room temperature for at least 48 hours before you wear them again. Wet leather will wear out twice as quick as dry sole leather. 7. You should repair your shoes when you feel a very spot in the middle of the front of the shoe where you walk. Push it with your thumb to feel,if its soft,its about to go,and if it is a little soft,its got another few days or less months. 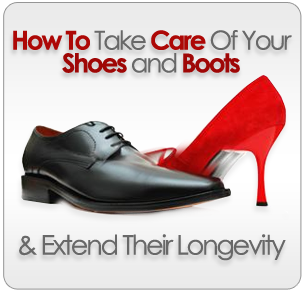 If you look after your shoes,they might just last longer for you. @naijaflo: thanks...i just made some addition to it...i was meant to state which of the polish to use. Great info. I am guilty of most.. I don't respect my shoes atall lol. Thanks for sharing Glowy. Bookmarking for reminder. I will try the other tips. I wanna ask there is this slippers called skull abi school. It's an old school slippers. Is it trending? Me I don't like it but my customer wan force am on my head. Whispering * I deposited for additional 2 shoes. After that, I will stop buying shoes for now.